Today's BINGO is a little harder - and might take your some work on Google maps to find dealerships with these different brands - or for that matter they might all be sitting in your shop! AND the competition continues for these BINGO cards- and the PRIZES!!!! You can enter 1 time per day for the duration of the contest (March 19-April 2). 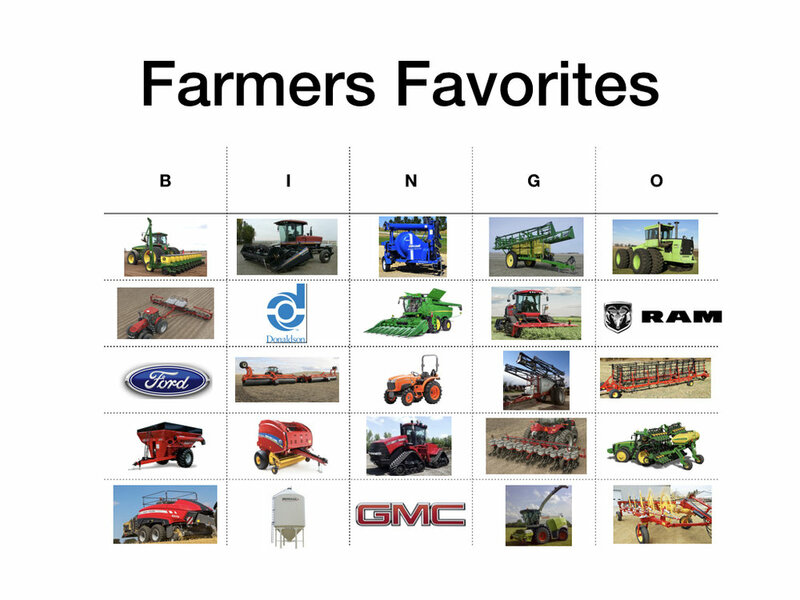 BUT.... wait there is a NEW BONUS, we will put your name in for each selfie you post with you and a different friend or family member with your BINGO sheet and post on Facebook or Instagram and tag @farmfemmes in your post. We will give away 5 shirts!